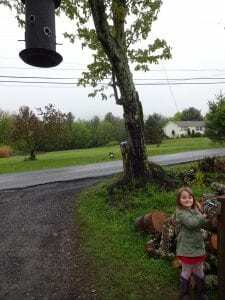 Installed a Canopy Bird Feeder on my own property near the driveway. For CFA, we put these up for members high up in a tree and attached to a far outstretching branch to make it harder for bears & squirrels to steal seed from. In any case, these birds have been killing it. I always thought I had a lot of birds around, but this is ridiculous. They ate 10 pounds of seed in a day and a half. In any case, it’s fun to watch the birds fly up to the feeder & the kids like it too. 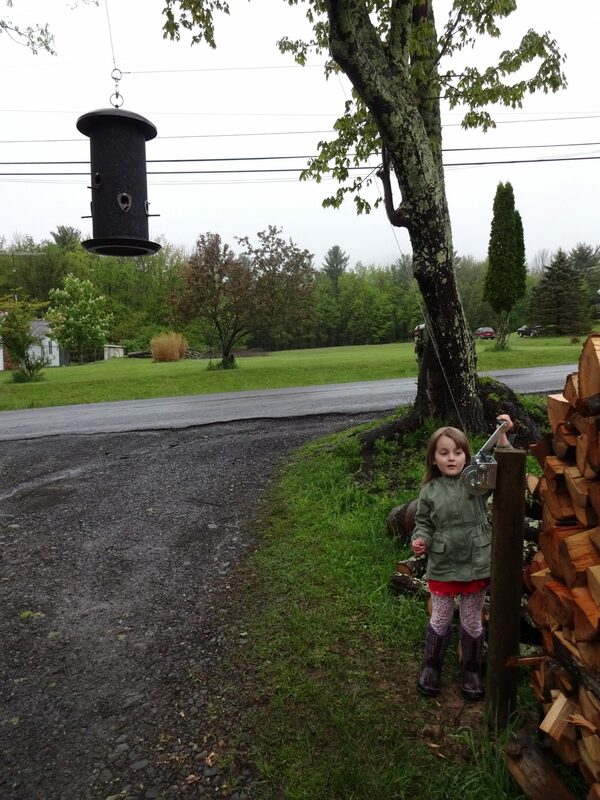 Tags: bird feeders, birds, Catskill Forest Association, Catskill Mountains, feeding birds Categories: What's New?